I am so grateful that my new found vocation allows me to travel to fun and exciting places. 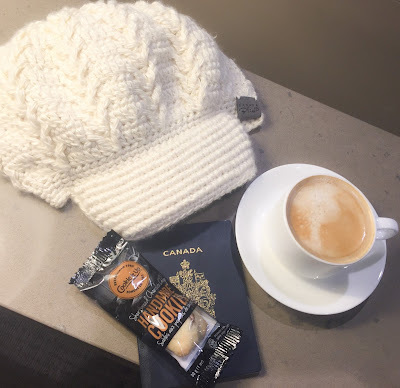 Today I set off on a trip to the beautiful Canadian east coast, Halifax Nova Scotia with Porter Escapes. Anyhow, once I got to the lounge, it is very classy. They have pretty light fixtures on cute tables next to the cushioned seats and armchairs. The lattes, soft drinks, water and snacks are delicious and complimentary, and the staff are friendly. Enjoying the lounge was every bit as pleasurable as I anticipated. If you’ve been following me and my company Canada Bliss over the past year-and-a-half, I’ve had my share of celebrity encounters. There are however, some people I will forever geek-out over. 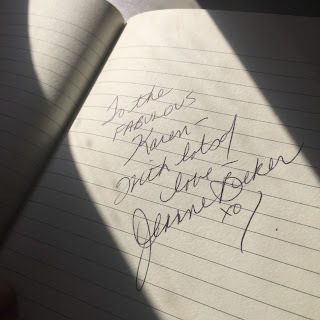 Like Whoopi Goldberg (I gratuitously geeked-out when I met her) and Jeanne Beker. So, unless you have missed out on the last two-and-a-half decades of fashion, Jeanne Beker is the epitome of fashion icons in Canada. I remember her best watching her on FT (Fashion Television) growing up. Apparently, she flies Porter all the time! Fortunately for me today, she was on my flight to Halifax to present an award at a university. We chatted, she asked me about my company. I told her about Canada Bliss, shared other common associations, she took my card and we wished each other well and went on our way. I believe good fortune ebbs and flows in the universe and I also believe that the good you put into the world comes back to you in unexpected ways. Considering that I am embarking on a fashion/travel project with Porter Escapes, I considered it good karma that the trip started out with me meeting such an accomplished woman that I’ve admired for most of my life. As for the Porter lounge experience…Well, here’s a picture of the yummy free cookies and latte that I enjoyed prior to boarding. 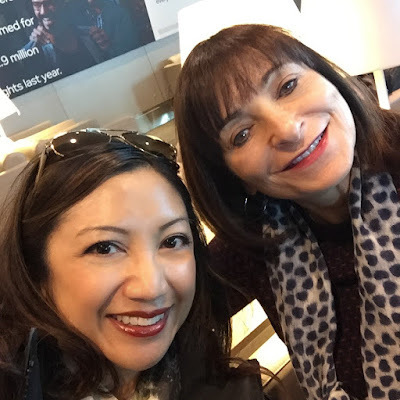 …and here’s a picture of Jeanne Beker and I, hanging out like BFFs! Oh yeah! ...and here's what she wrote to me so I wouldn't forget this super-cool encounter! All of this excitement, and we haven't even left Toronto soil yet. There's so much more travel to be had! Could all of this happen to you on a Porter Escapes adventure? Possibly, but you'll have to go on one of your own to know for sure! 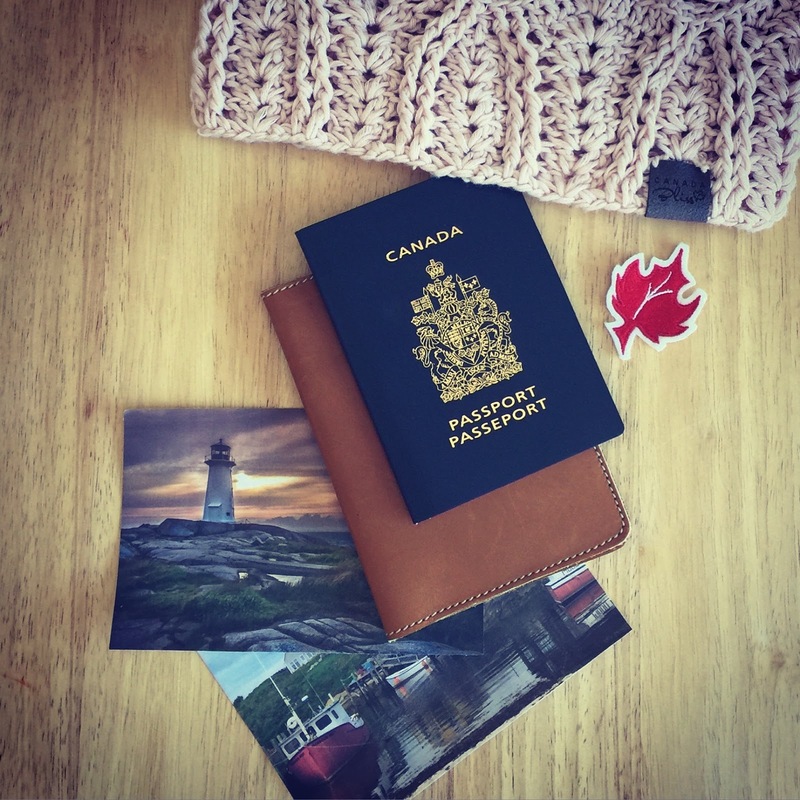 Want more #HalifaxBlissEscape Canada Bliss Diaries? If you’re already itching to travel, don’t hesitate to pick on of the many trips on Porter Escapes https://www.porterescapes.com/halifax-getaways.